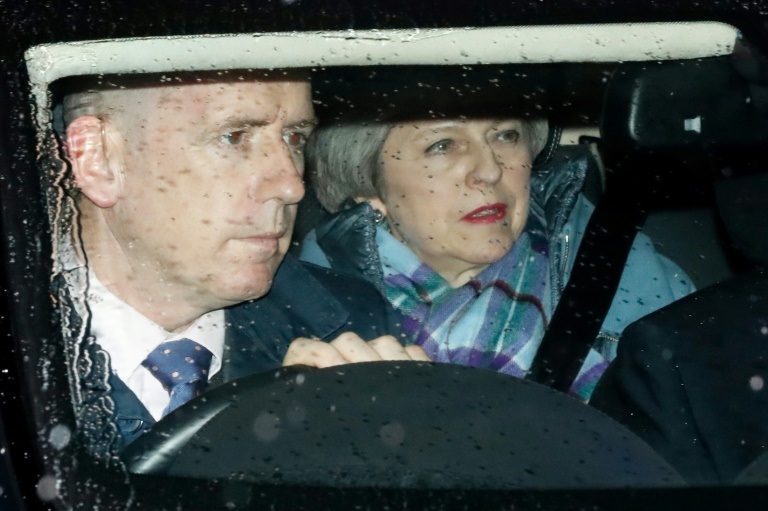 British Prime Minister Theresa May pinned her hopes on persuading Brussels to rewrite the Brexit divorce deal but EU leaders insisted Wednesday they would not budge. Having comprehensively rejected the withdrawal agreement last month, MPs late Tuesday backed an amendment saying they would support the deal if its controversial “backstop” clause concerning the Irish border was removed. Bolstered by the mandate from parliament, May made the decision to revisit a pact she herself sealed with the 27 EU leaders at a summit last month. On Wednesday, the EU’s chief Brexit negotiator Michel Barnier reiterated: “The position of the European Union is very clear”. German Foreign Minister Heiko Maas told the Funke media group that the existing draft deal was “the best and only solution for an orderly exit”. The backstop insurance policy could legally lock the UK into EU trade rules indefinitely in order to keep the Irish border free-flowing. Going further, Philippe Lamberts, who is on the group, told BBC radio that hard Brexiteers were “believing in a mirage”. “There will be a price to pay, but the calculus made on this side of the Channel is the price of hurting the integrity of the single market will be bigger, and if we have a choice to make between two evils, then no deal is the lesser evil,” he said. London stocks rose 0.6 percent in early trade and the pound rebounded slightly Wednesday after suffering heavy losses on worries about a possible no-deal Brexit. The pound “has not collapsed into oblivion because… we are not yet at the no-deal do-or-die moment,” said Neil Wilson, chief market analyst at Markets.com. The winning amendment calls for the backstop to be replaced with “alternative arrangements to avoid a hard border” — vague wording that did not pin May to any specific approach. Britain’s Brexit Secretary Stephen Barclay said “the dynamic did change” with the vote, but offered no specifics on what the alternative arrangements might involve, saying London was looking at technological solutions, time limits and exit clauses. Elsewhere in Tuesday’s votes, MPs also backed a non-binding measure that “rejects the United Kingdom leaving the European Union without a withdrawal agreement”. But they threw out another plan — backed by EU supporters — that would have tried to force through a Brexit delay if no new deal with the EU emerged by February 26. May was due to talk on Wednesday with Tusk and Irish Prime Minister Leo Varadkar, and face MPs in her weekly questions session in parliament. Main opposition Labour leader Jeremy Corbyn sat out cross-party Brexit talks ahead of the vote but will now meet May on Wednesday to discuss the way ahead. European Commission president Jean-Claude Juncker was due to make a statement to the European Parliament later on Wednesday. Irish Foreign Minister Simon Coveney said he hoped the backstop would “never be used”, or would be quickly replaced by a new trade agreement. But he said in a tweet that the backstop was “necessary” and the vote in London would “do nothing to change this”.